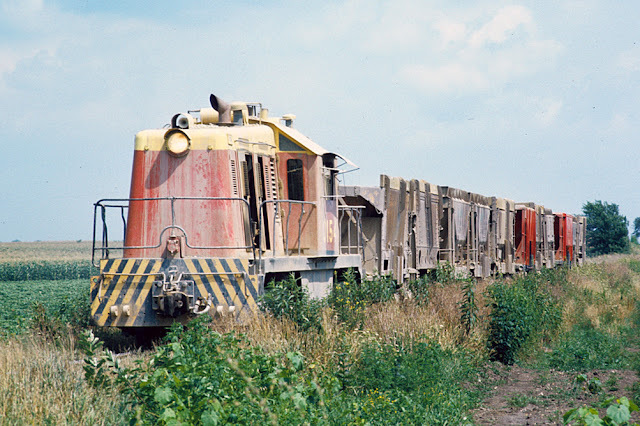 Growing up in the next town over, I can safely say that Plainfield, IL has had (and continues to have) a much more interesting railroad history than Bolingbrook. Plainfield is the home of a Elgin Joliet & Eastern Railway junction (now run by CN), and once had interurban railway service via the Aurora Plainfield and Joliet Railroad. I have discussed and photographed some history of each of these lines on my Facebook page, including the EJ&E caboose on display off of IL-126. 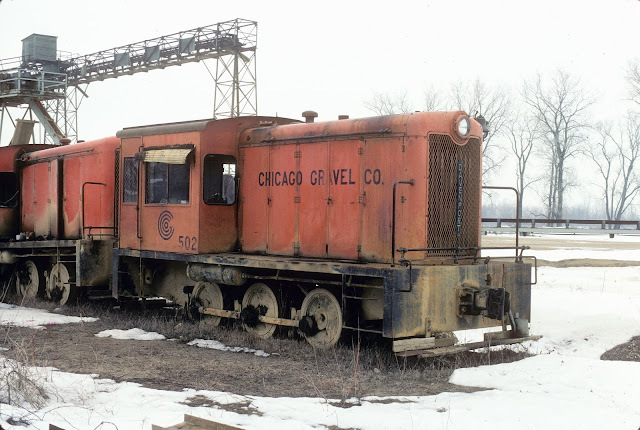 But today, we're going to talk about the most obscure railroads in Plainfield, the Material Services Railroad and Chicago Gravel Company, both of which helped create many of the lakes in the Plainfield area. The ice ages beginning 1.8 million years ago left many stone deposits in the land of northern Illinois. Quarrying is active even today along the DuPage and Des Plaines Rivers, and many spent quarries have been converted into Forest Preserve land. Such is the case with Lake Renwick. Both of these lines are approximated on my abandoned railroads map, however, the nature of industrial operations means that a complete trace of the railroad operations that occurred is likely impossible. 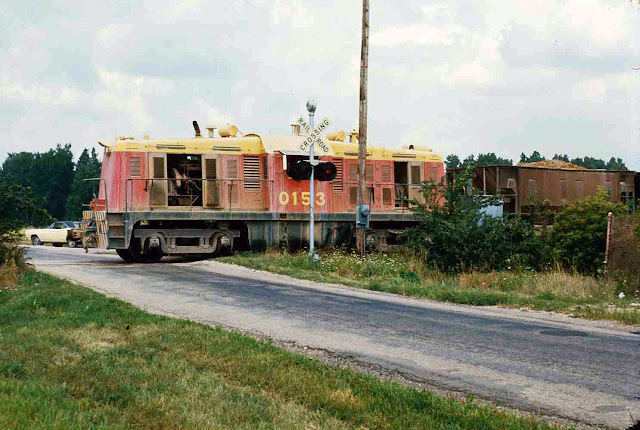 The Material Services Railroad is the longer of these two operations, and began just west of Lockport at a junction with the Elgin Joliet & Eastern, near Lewis University. 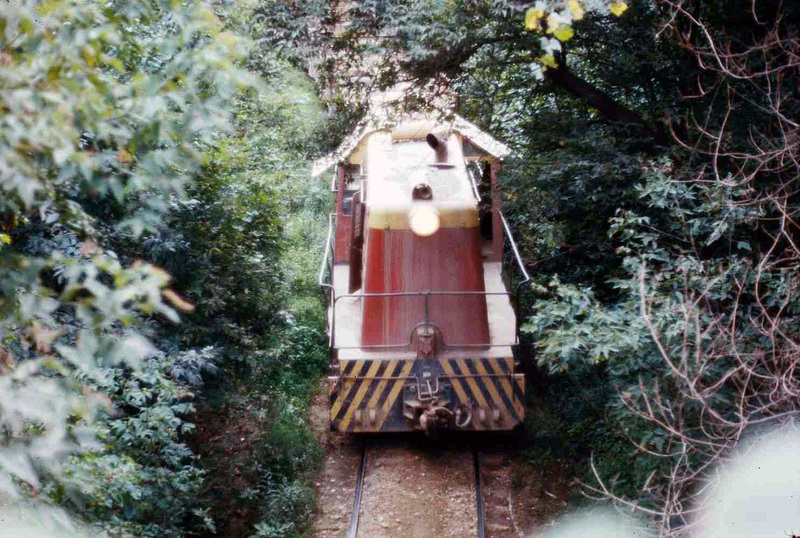 This once served a quarry immediately south of the University. 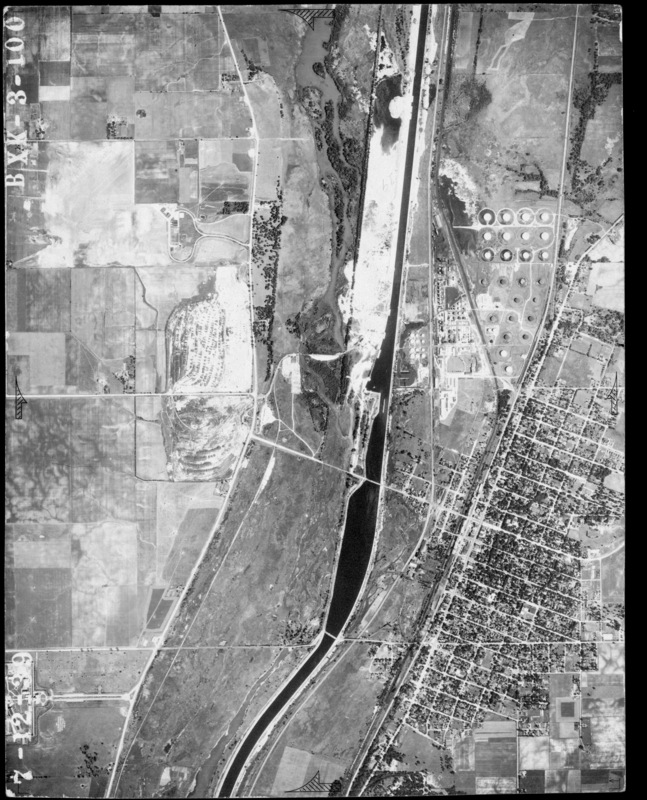 1939 Aerial Photo via Industrial History. 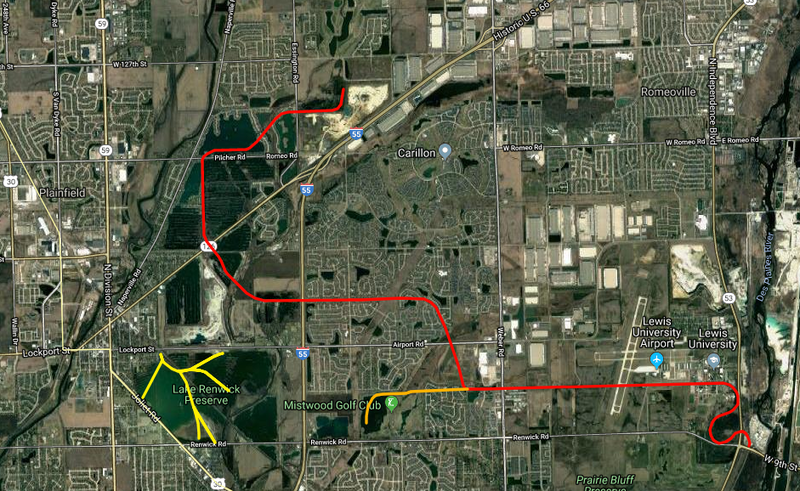 Operations would continue heading westward all the way to Plainfield, IL, and very near the western end of Bolingbrook, leading me to question whether the line made it any farther northeast than Essington Rd and 135th St. Overhead view of the railroad from an old alignment of Renwick Rd. Photo: Don Crimmin, 8-11-73. 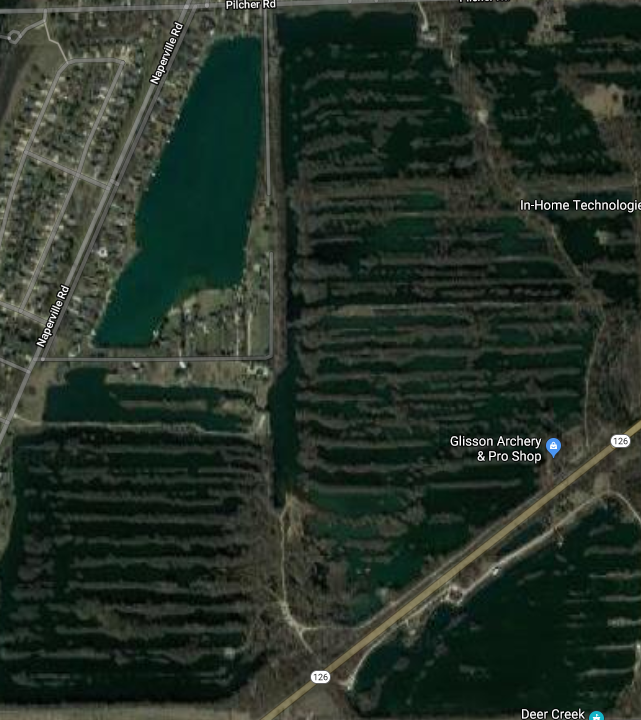 According to Don Crimmin, this operation was only done in warm weather, as the only function of the line was to haul gravel from what would become Lake Plainfield and other pits. 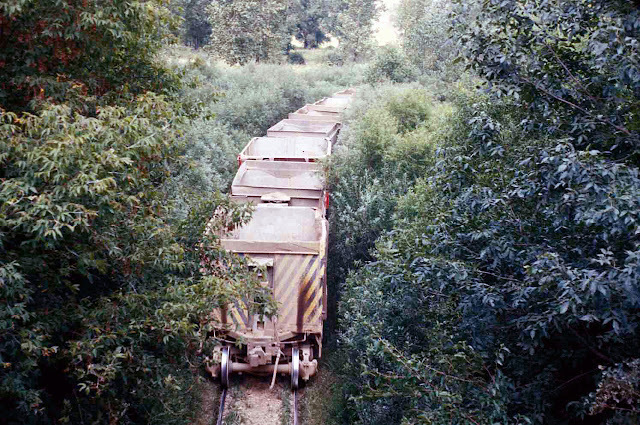 The nature of this operation often used "snap track", in which temporary rails would be created to access certain areas of the gravel pits, and then taken out once that section was depleted. These strips are evidence of what were temporary rights-of-way to access gravel. The same train leads empty gravel cars. Photo: Don Crimmin, 8-11-73. Once farmland, these pits would be mined, depleted of gravel, and filled with water, becoming areas for fishing swimming, and a gun club. MSRR Whitcomb 154 heading west toward Plainfield at Weber Rd in Romeoville. Today, this is all retail development, with a Wal-Mart on the opposite side of Weber. Photo: Don Crimmin 8-11-73. Between the pits at Plainfield and the EJ&E junction just west of Lockport, almost none of the right-of-way is still accessible. West of I-55 is a private sportsman's club. North of 135th St, where the line ended operations is luxury homes, built on the side of the newly-created lake from the pits. East of I-55, the former right-of-way is now a utility easement, but no trace of the railroad exists anymore. 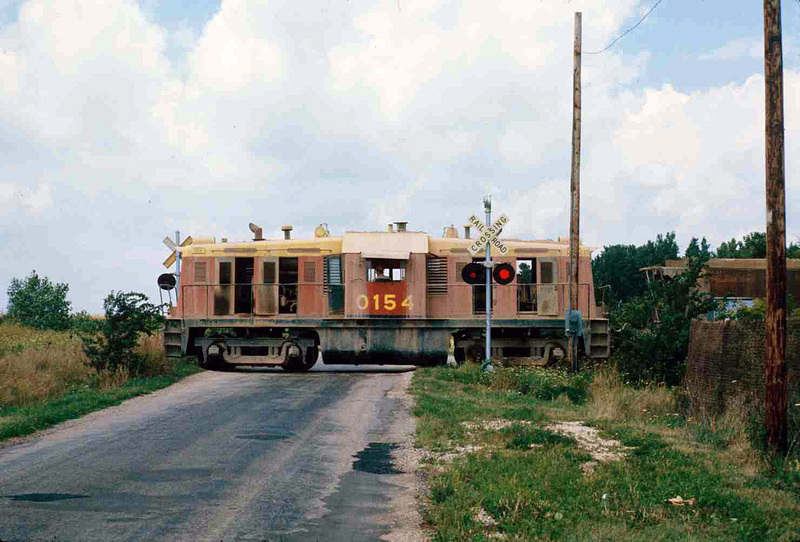 MSRR Whitcomb 153 at the Wilco Blvd crossing. Photo: Don Crimmin 8-11-73. Beyond that, retail and housing developments make tracing nearly impossible, as does Lewis University Airport. The one exception is immediately south of Lewis, where the curving right of way is now a short trail, only accessible via the university. Thus, I have no good pictures from the right of way today. However, there remains much evidence of railroad operations at Lake Renwick, where the Chicago Gravel Company had extensive operations. Just like Lake Plainfield, strips of land are still evident on each side of Lake Renwick. The railroad history of Lake Renwick is a little more complicated. 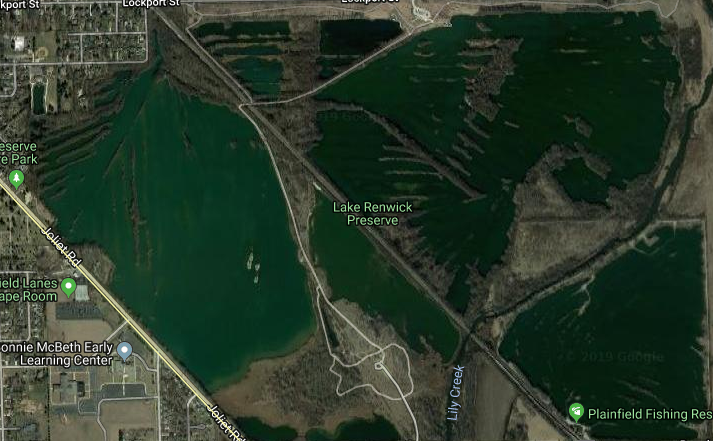 The Chicago Gravel Company began excavating the site for a gravel pit early in the 20th century, when they struck an underground spring, creating the artificial Lake Renwick of today. The lake would be a summer destination and a winter harvesting ground for ice. 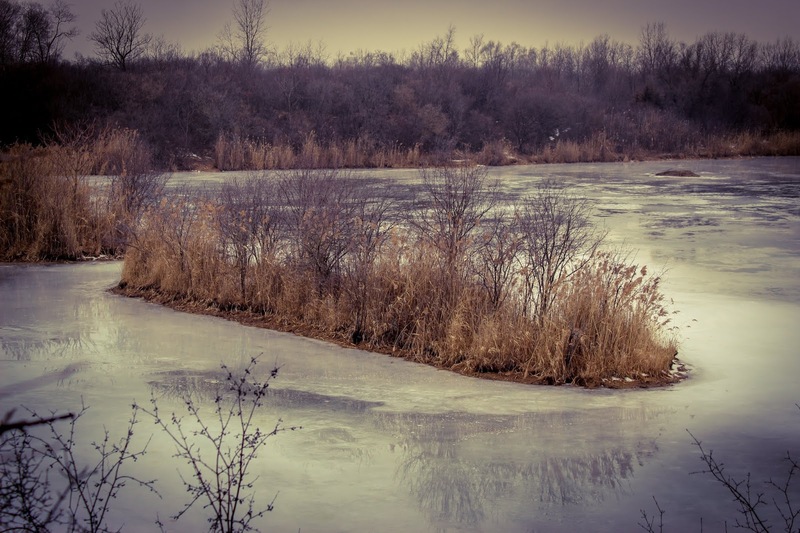 It was a rainy, 45 degree day, yet the lake was still frozen solid from the recent sub-zero temps. Ice harvesting operations ended in 1924, but gravel mining operations would continue at least until the 1970's. While I don't have any photos of these operations, Don Crimmin sent some photos of the locomotive power used by Chicago Gravel Company. Chicago Gravel Whitcomb Cab at Plainfield, just north of Renwick Rd. Image: Don Crimmin 3-8-79. According to Crimmin, "The scale house with scale and pad (at Lake Renwick) have been retained as a historical artifact." Some of the exposed railroad ties showing a former right-of-way, right off Lake Renwick's main trail. Many railroad ties remain in the woods to this day. 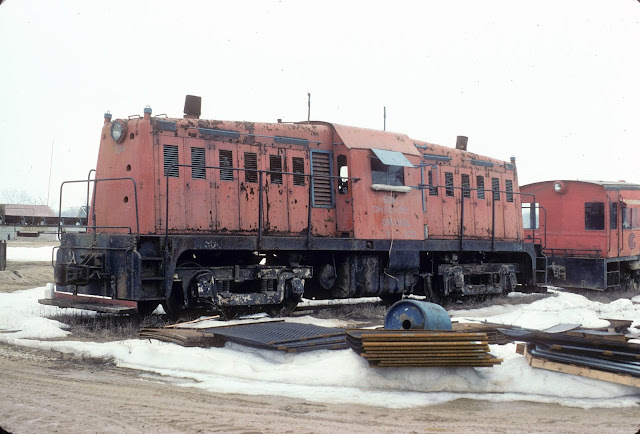 Compared to Material Services' route, CGC had a much shorter operation, as it interchanged with the EJ&E right at Lake Renwick. Today, the CN line is very active through there, and walking along the path, you can quite easily hear the CN trains, even if you can't see them, which always makes me a little nervous. This curve signals where a wye used to be, where the line branched off into another gravel mining site within the lake. Despite being a Forest Preserve, there are a TON of railroad artifacts to be found here. 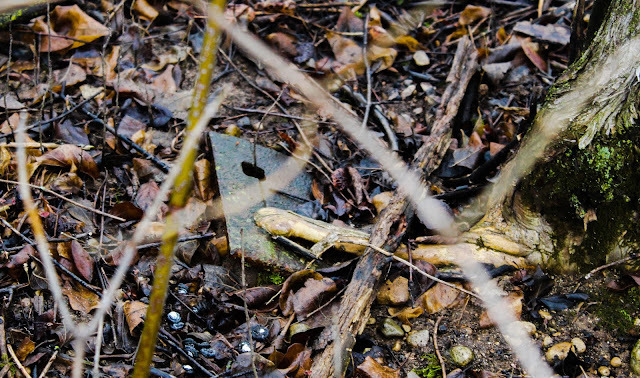 A railroad spike and plate easily visible in the brush. I wonder if digging it up a bit would reveal rails, like at Argonne? Much of the former right-of-way of the mainline is now a trail, or adjacent to a trail. Much of the strips are either inaccessible, or extremely difficult to access. I guess I could have walked on the ice if it were colder out. The main path in Lake Renwick Forest Preserve is about 30 feet above the lake, thus some of the strips of land for railroad operations are quite easy to see. Looking west onto one of the mine strips. Slightly off the beaten path, it's still quite accessible. 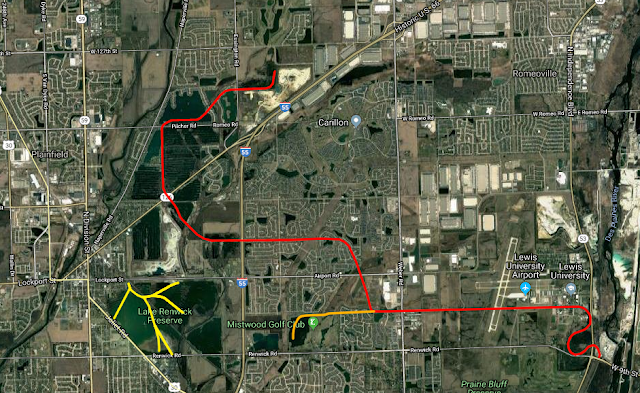 The active CN tracks split the Preserve into two. The west side is a bird sanctuary that is fenced in for some reason. Makes going under the bridge slightly creepy. Immediately west of the bridge, a clearing to the Lake signifies where another wye was located. A few deer here, otherwise it was desolate, muddy and wet on my visit here. More evidence of the former ROW. Funny enough, with a CN train coming through about 100' east, you can still hear trains! So yeah, the railroad is alive, even if this quarry is depleted. These operations have been of interest to me since I discovered their existence, in spite of the fact that operations ended in the mid-1980's, before I was born. 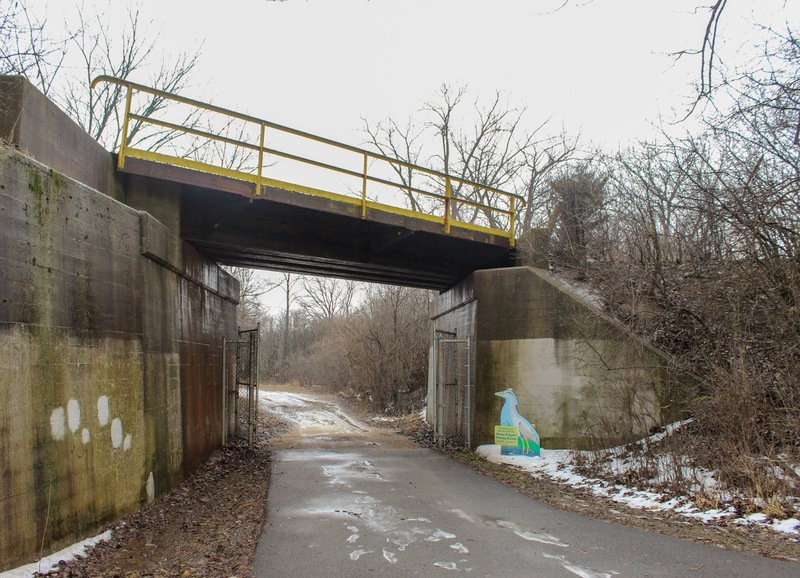 I never knew about these before I began tracing abandoned rights-of-way on Google Maps, so this was as much a learning experience for me as I hope it was for you. As always, I hope you enjoyed today's blog, thanks for reading! In addition, special thanks to Don Crimmin, who provided a lot of information on these operations, and provided historical photos. Thanks for saving Don Crimmin's photos and oral history. I also appreciate that Don was willing to share his knowledge. I have updated my notes to point to your posting. Dennis, thanks for your comment, and likewise thanks for keeping railroad history alive! 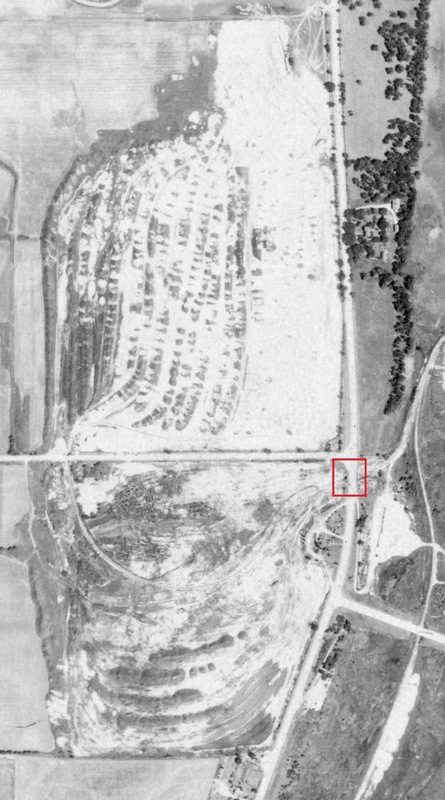 You have probably seen this but the usgs has historic 1:24,000 topos of the plainfield and normantown quads that show the basic rail lines. https://ngmdb.usgs.gov/topoview/ It is an excellent website. Thanks for the comment. The Topo maps of Plainfield, and the rest of the United States, are undoubtedly the most valuable resource I have for tracing abandoned railroad line! Get Your Kicks On...Route 129!